In a move the has generated substantial controversy, the Occupational Safety and Health Administration (OSHA) has proposed changes to its workplace reporting rules that would require employers with more than 250 employees to publicly disclose reported injuries and illness. Currently, employers are only obliged to post yearly summaries of illness and injuries in a prominent location in the workplace. Under the new proposal, large companies would be required to electronically submit workplace illnesses and injuries each year. Because these reports will be electronically submitted, the general public will have access to them. OSHA made this proposal on the heels of Bureau and Labor Statistics annual illnesses and injury report, which estimates that about three million workers were injured on the job in 2012. It believes the proposed changes will help improve workplace safety and health due to improved tracking of workplace injuries and illnesses. If the proposal is implemented, employers with 250 employers or more would be required to submit workplace illness and injuries summaries once per quarter. Approximately 38,000 companies would likely be affected. Further, companies with 20 or more employees in high-risk industries would be required to submit electronic summaries on a yearly basis. An additional 44,000 companies would therefore be subject to the new rules. Would the proposed reporting requirements really decrease workplace injuries? OSHA representatives say that the proposed reporting rules would decrease workplace injuries and illness. Because injury and illness figures will be publicly disclosed, employers will likely feel pressured to keep their numbers low, leading them to be more proactive about adhering to existing workplace safety rules, improving safety procedures and identifying and eliminating hazards. Some business groups and employers are staunchly opposed to the proposal, however, claiming that injuries and illness data can be easily misinterpreted, leading to unfair judgment or conclusions about the company. They argue that job candidates or even customers of a particular company might view the data and boycott the company based on an inaccurate conclusion. In my view, this argument is beside the point. The risk of the public drawing an inaccurate conclusion about a few companies does not outweigh the widespread improved health and safety benefits the rule could bring to employees. The best way to avoid an inaccurate conclusion about your business’s illness and injury rate is to take effective action to lower that rate so that few could find fault with it. Who could argue that that’s a bad thing? The public has until March 8, 2014 to submit written comments to OSHA on the proposal. 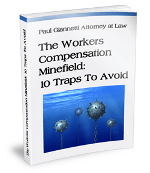 Paul Giannetti is an Albany workers’ compensation attorney. If you have suffered an injury in the workplace, call him today at (866) 868-2960 or contact him online to discuss and preserve your rights.